Poster Day has been running at the University of Liverpool for 10 years! Started by Professor Steve Flint as Faculty Director of Postgraduate Research for the Faculty of Sciences back in 2003 the event was first staged in the Victoria Building and run by Graduate School administration. Very soon it became a major event in the University’s calendar and in 2004 it was hosted in Mountford Hall. 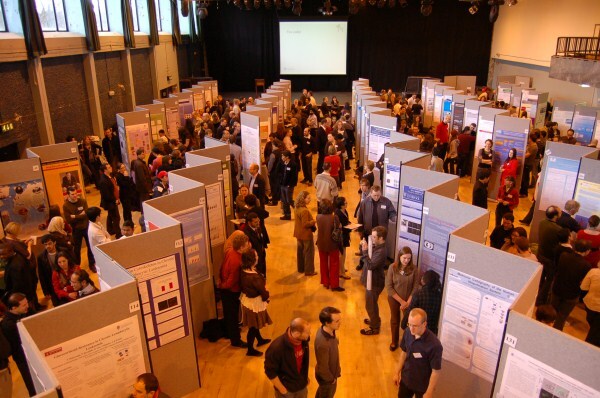 In 2009 organising Poster Day became the responsibility of the PGR Development Team and Poster Day Online was added to give remote PGRs the oportunity to exhibit. Poster Day Online has since become a genuine event itself. In 2012 the event moved out of Mountford Hall to allow for its refurbishment. That meant moving to the Central Teaching Laboratory until Mountford Hall becomes available again in 2015. As a result we have difficulties trying to get everyone a place that wants to do Poster Day this year. If you can’t get a place because the register is full please fill in the Expression of Interest Form. We are working on this problem so please stay tuned. The purpose of Poster Day is celebrate the postgraduate contribution to the university and the research envionment. In particular it helps to foster a vibrant research culture, and serve as a social and networking event for the free exchange of information, knowledge and feedback between different subject areas, departments, faculties, other Universities and employers. It is always a really friendly and supportive environment and has helped considerably to improve communications between widely differing disciplines. In the new year and running up to Poster Day there will be hands on workshops run by Computing Services that will cover the technical element of poster creation (it’s dead easy!) and the more tricky bit on how to how to design a good poster. In the meantime check out our comprehensive resources for poster preparation. For some inspiration have a look at past winners of the competition. As with conference or poster display it is most important that you follow the guidelines. Not to do so can disqualify you from the competition, which has strict judging criteria (currently under review). There’s always a lot of variation in styles and approaches – we look forward to seeing yours on April 10th and in Poster Day Online 7th April – 2nd May 2014. I will leave you with my favourite poster, from 2007, showing how imaginative and unique you can be. 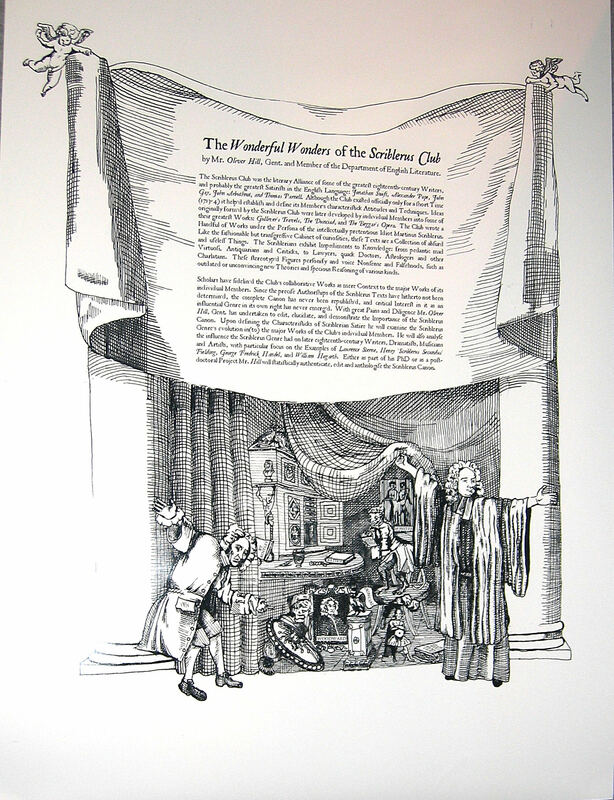 It’s by Oliver Hill (now Dr Oliver Hill) from English.